Zhou Xun and Dou Wei discuss the music for "Li Mi's Guess," released by Huayi Brothers. Rock and roll musician Dou Wei has been invited to score the Huayi brothers latest production "Li Mi's Guess," a love thriller starring "The Banquet" actress Zhou Xun, web portal sina.com reports. Dou Wei is also set to produce a theme song for Zhou to sing, based on a track from his 1995 solo album "Sunny Days". 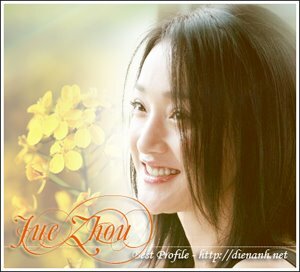 The exciting collaboration was proposed by Zhou Xun, her publicist said. "In my eyes, Dou Wei is like a prophet. He produced Sunny Days in early 1990s and it still sounds charming today. I have dreamed collaborating with him for more than once," Zhou Xun was quoted as saying. "Li Mi's Guess" has also cast actors Wang Baoqiang, Deng Chao, and Zhang Hanyu, all of whom are in the spotlight after appearing in director Feng Xiaogang's war epic "The Assembly". The movie will open on August 14 across the country.